With the increasing drop in temperatures, we are looking to the holiday season to warm our spirits. Dressing for a glamorous night out is always fun and makes for the perfect opportunity to adorn your feet with some glitz and sparkle. 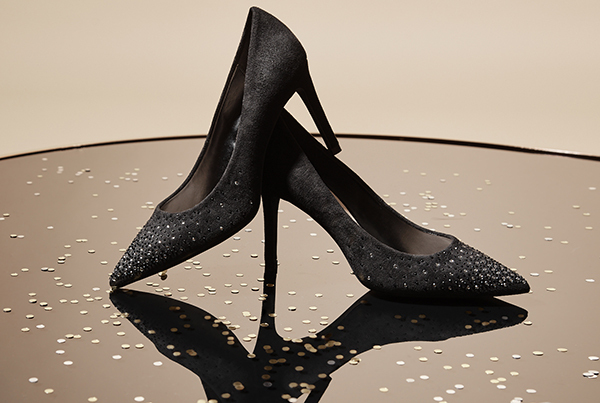 From lavish crystal embellishments to luxurious suede, these shoes will add a lot of cheer to your holiday party look. Here are our top 3 trends to make you shine. 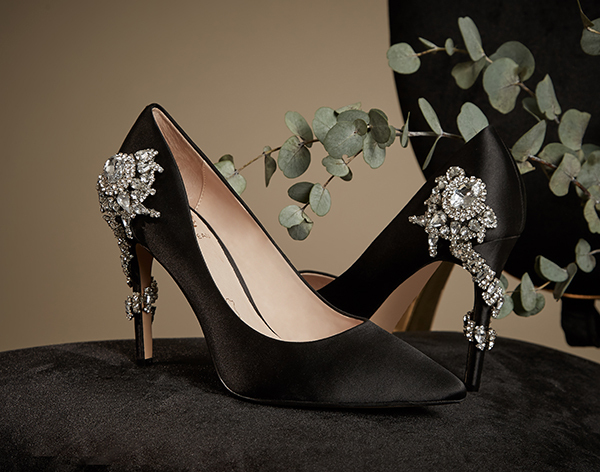 A classic pump with a crystal embellishment is the ultimate fashion piece. Shoes decorated with dazzling ornaments and rhinestone encrusted heels will have you stepping into party season with all eyes on you. It’s all about having a good time and glitter shoes are definitely fun. 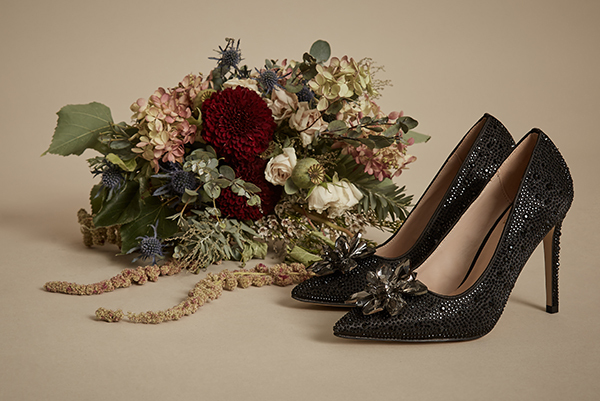 This season’s sparkle comes in a variety of styles: all-over gold glitter will add an extravagant touch while a suede pump jeweled at the toe gives a more minimal approach. No matter your choice, you are guaranteed to light up the night. Welcome the ankle boot into your holiday mix this year to make a modern evening statement. With so many choices out there – from solid metallic to decked-out heels to sleek red– it’s never been easier to look chic and feel comfortable dancing the night away. With these glittering tips, your shoes will easily make your outfit this holiday season. If you’re in need of some wardrobe inspiration to match, check out our post on holiday trends here.